A WINE industry insider with an instagram account has turned his passion into a business. The new Yarra Valley Cellar Door in Healesville is the brainchild of self-confessed Yarra Valley wine lover Ben Mitchell. “In 2014 I started an instagram account to share my wine discoveries from Yarra Valley cellar doors,” Mitchell says. “I wasn’t paid to promote any of these wineries or wines – I’d just discovered a passion for local wine coming out of this amazing, picturesque part of the wine world and wanted a single place – albeit a virtual one, initially – where everyone could see how cool the valley is.” A trip to Heathcote, where one shop was offering a range of labels for tasting, sparked Mitchell’s enthusiasm. “The idea stuck with me – why didn’t the Yarra Valley have a one-stop cellar door with a bunch of producers on show, on one table?” The answer to that question was simple: no one was doing it. So Mitchell did. Now that Yarra Valley Cellar Door is a bricks and mortar facility, Mitchell hopes to continue exposing locals and tourists alike to the diversity and quality of Yarra wine. 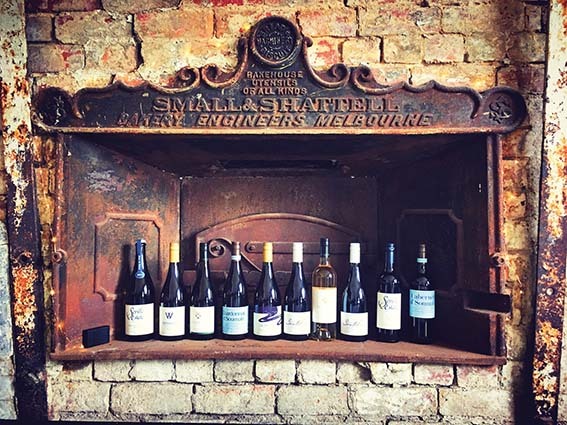 The rustic Yarra Valley Cellar Door is a wine-tasting room with 10 wines from five producers on tasting. Located in downtown Healesville, it’s a perfect one-stop tasting spot to discover some of the best wines coming out of the valley right now. Pouring the tastings himself, Mitchell draws from his experience as a former cellar door manager for Giant Steps/Innocent Bystander and sales and marketing manager for Soumah to share a combination of winemaking notes and local knowledge. YVCD is committed to raising the profile of each of the five wineries on tasting: Santolin Wines, Seville Estate, Soumah Wines, Squitchy Lane and Warramunda Estate. Yarra Valley Cellar Door, 242 Maroondah Highway, Healesville. Open Thursday/Saturday/Sunday noon-5pm. Friday noon-7pm. Groups (maximum 10) by appointment. Purchase a minimum of one bottle and tasting is free. Otherwise, a $10 tasting fee applies. Phone 0403 908 093 or visit www.yarravalleycellardoor.com.